Add all the ingredients into the shaker and shake. Add the orange slices into the glass as the garnish. 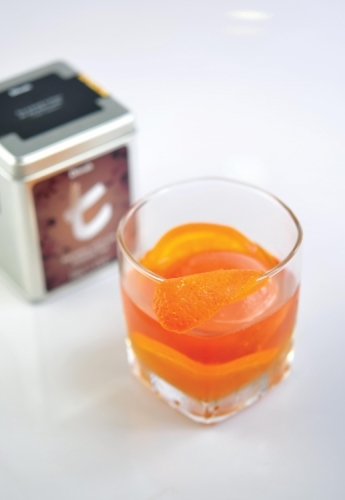 Add the Natural Ceylon Ginger tea frozen into an ice ball and pour the shaken ingredients over the ice ball. Add a slightly burnt orange peel over as garnish.